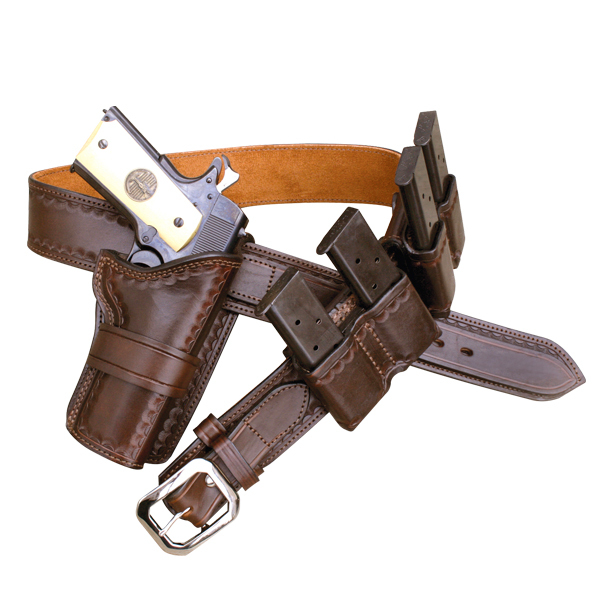 The Wild Bunch Rig holster is made to fit up to a 2-1/4” wide belt. 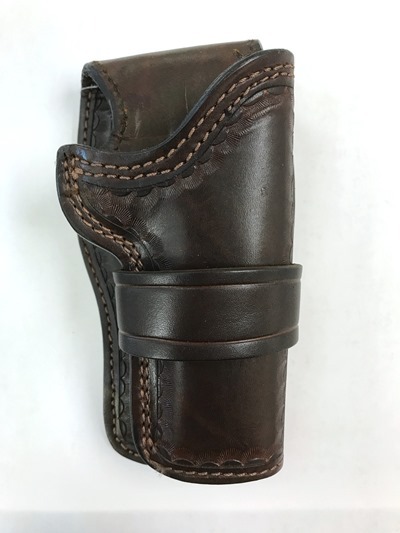 Each holster is hand crafted around a 1911 with traditional sights for a perfect fit. The holster rides high on the belt and angles away from the body. The position allows a good grip when removing a pistol, so no grip readjustment is needed after drawing. Available in dark brown or black.